The transition from cash transactions to digital card-based transactions has been growing at a very fast pace. With changes occurring in the way individuals conduct transactions, businesses also have to keep up by customising their payment options. One of the challenges faced by small business owners is finding a way to adapt their methods of transactions. POS machines offer a convenient and affordable way for them to overcome this obstacle. POS systems are an amalgamation of hardware and software which aid in cashless transactions. They offer an advanced form of maintaining physical records along with a range of features that are extremely useful for business owners. However, since POS systems are still in their nascent stages, there are many common misconceptions people have about them. Here are the some of the biggest myths about POS machines debunked. The cost of POS machines varies depending on the services they offer. The technology that enables POS machines comes with various functions which aid in the process of buying and selling. The one-time investment that a POS machine requires will actually save businesses a lot of money in the long run. The cost of hiring personnel to handle all the business functions manually would add up to a lot more than simply purchasing a POS system to do the same work. In addition to enabling businesses to recover the cost very quickly, POS machines also go a long way in improving customer satisfaction in the business. While the most basic function of a POS machine is to enable transactions, they actually serve a wider variety of functions. There are many different types of POS machines available in the market, each offering specialised services. While every POS machine offers account and tracking services, other functions are tailor-made to suit a variety of industries. Some systems generate reports on sales, purchases and products from customer data. They also provide specific data which helps analyse the sales figures of each product and lets businesses adjust their inventory and services. Cloud-based POS or Mobile POS are the latest advancements in the industry. Individuals can find the best POS machine for their needs depending on their business requirements. While POS machines were originally introduced for simplifying transactions in retail outlets, their uses have expanded considerably since then. Because of major advancements in software technology, POS machines have been adapted to cater to a wide range of businesses. 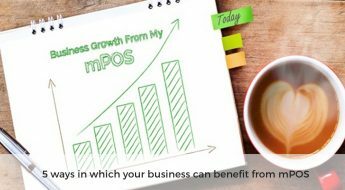 From beauty salons to restaurants, specialised services available can help many businesses benefit from mPOS systems. Mobile POS machines are especially convenient because they can be used to complete transactions in a large variety of businesses. Unlike what many people believe, most POS systems are actually extremely user-friendly. Even a novice with limited knowledge about computers can easily operate the system. In case any complications do arise, the company which sells the device will offer technical support and help with configuration of the software. Once the software is installed, getting yourself familiar with the system will only take a few minutes at the most. Some companies even offer a downloadable app to simplify POS payments even further. Mobile POS systems were introduced to improve the experience of using POS systems. But despite the added convenience, some people are hesitant about switching to mPOS systems from traditional POS systems as they believe they are not as reliable. However, the truth is that apart from the device used, there is actually no difference in the functioning of mPOS and other POS systems. In fact, mPOS systems on tablets are much easier to handle than a fixed POS juncture. These are especially useful in restaurants because they can significantly improve customer service. Tablets for mPOS systems are specially built to be durable enough for busy restaurants. Some users have expressed concerns about the security of personal card information on POS systems. But card information is very secure on POS machines, especially when the software is kept regularly updated. The latest versions of POS systems also come with many measures to improve security in digital payments that are much more stringent than previous versions. This effectively safeguards all credit card and debit card information. This is why, if business owners are looking for the most secure system to store sensitive customer information, they should upgrade to POS machines. Off late, many businesses have started experimenting with the mobile and cloud-based POS systems. Tackling the myths associated with POS machines will help more people understand the advantage of switching to them. An efficient payment system like Bijlipay is crucial to help businesses grow further. How will machine learning help in preventing financial frauds?